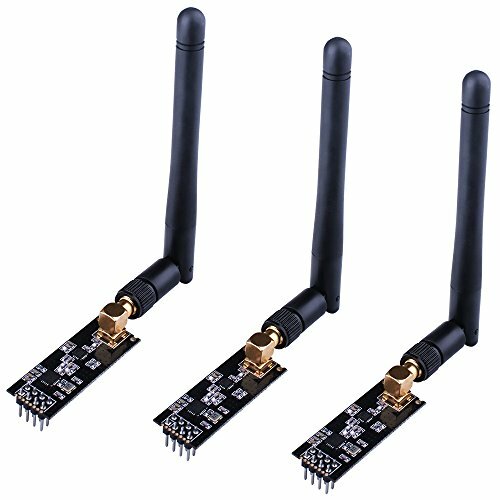 If you want to set up your wireless communication system with low cost, this wireless Transceiver module is the most suitable module to choose! It can achieve a good balance between wireless transition performance and cost! You can easily add it with your own MCU/ARM/PIC/AVR/STM32 system! The on chip voltage regulator accepts supply voltages from 1.9 to 3.6V. The module has 5V tolerant inputs which allows for direct connection of SPI pins to the Arduino. Support up to six channels of data reception.